Not an Artist? Can't draw a straight line? Love Art and wish you can create? Register now for SSG's Pot Melt Class. Your choice of either "freeflow" design, square or circular finished shape. 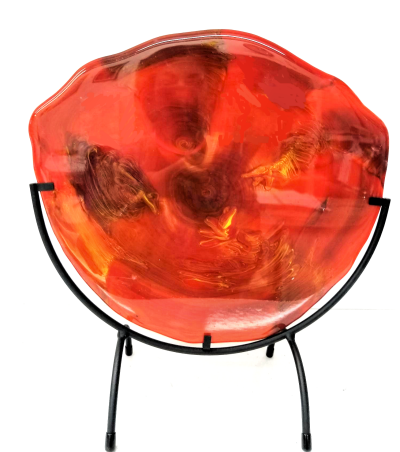 Your choice of square or round metal stand or lucite stand depending on finished shape of art glass. This innovative fused glass class will get your creative juices running wild! The free formed Fused Fantasy class is one that knows no boundaries. Express yourself with no rules or restrictions. Create a free formed abstract or realistic 10", 15" or 20" layered fused glass project in the colors and pattern of your choice with re-cycled glass. Class, glass, & fusing included. 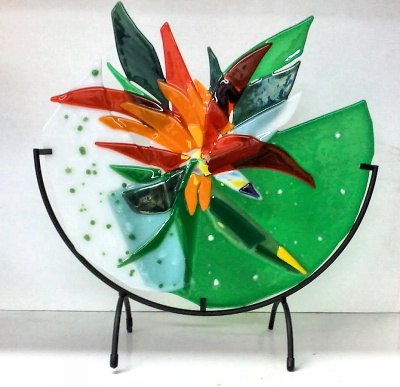 Create a FABULOUS fused glass sculpture for your home in your own original design. Come to class, choose your glass, divide it in two, and conquer your design by creating a magnificent fused glass project joining the two sides together again. In this class you will choose your own color for your divided glass (base piece), instruction in cutting the glass, applying art glass to your project by placing the glass in strategic areas, as well as finishing your project. Beginner and experienced fusers are welcome. Class includes instruction, glass. & firing. 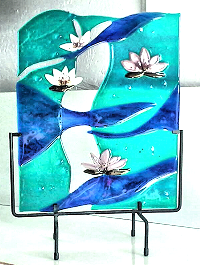 Finished large glass sculpture measures 12"wide x 15"/16" high. This innovative fused glass class will get your creative juices running wild! The Ocean Wave class is a one that knows no boundaries. Express yourself with no rules or restrictions. 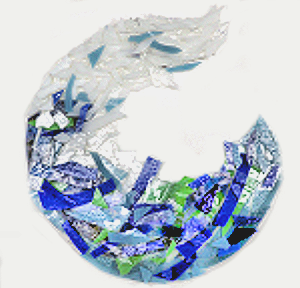 Create a free formed layered fused glass project in the form of an ocean wave. Class, glass, & fusing included. *Plus Glass - $5/ sq. ft.
*Plus Fusing - 10¢/ sq. in. *Plus Slumping - 10¢/ sq. in. 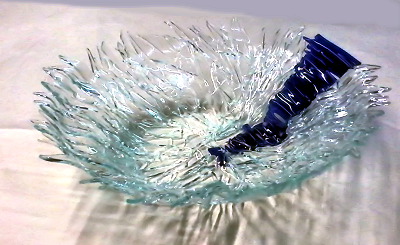 CURVED TREE - Design this LARGE 16" tree by placing layers of glass design elements of your choice to create this textured fused glass, free standing tree. 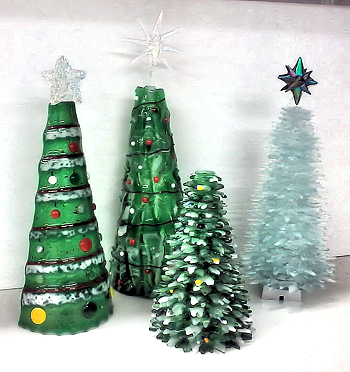 STACKED TREE - The Stacked Christmas Tree class is four days of instruction, glass, firing and assembly. The tree is over a foot tall and includes a light base of your choice. 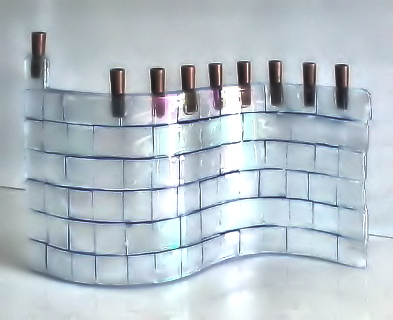 Celebrate Chanukah this year with your own hand made double layerd fused glass Menorah. Light up each of the 8 nights with the soft glow of candlelight. OR gift your Menorah for that special person in your life. 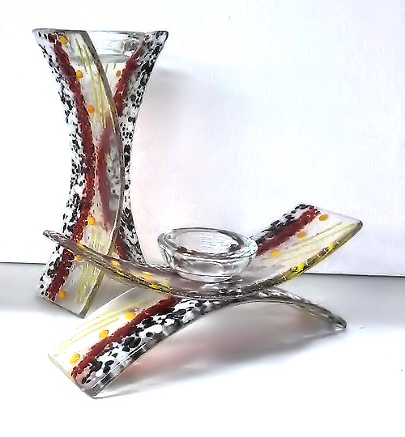 All glass, firings and candleholders included.